You might remember that we returned to the parallel Seagate Barracuda 7200.7 several times until the official drive with the v3.06 showed acceptable performance. That is why I didn't hurry to review the SATA version. But I've recently got three drives at once - two 160GB ST3160023AS (one of them is the official sample) and one 120GB ST3120026AS. All have the same firmware - 3.05. It should be noted that Seagate is the only company that doesn't makes SATA drives out of the parallel drives by simply using a bridge. Just have a look at the photos. 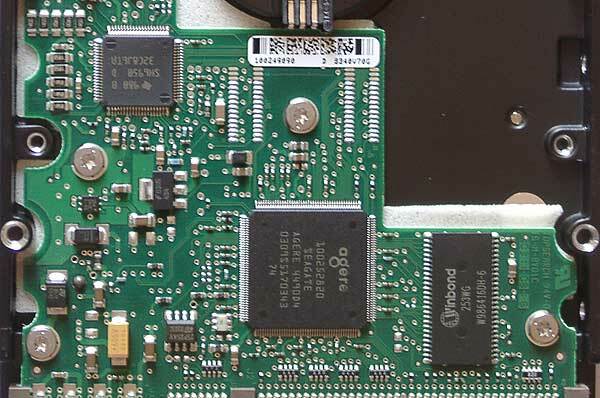 On the left is the electronic part of the SATA ST3160023AS drive and on the right is the parallel ST3160023A with the 8 MB buffer. The difference is well noticeable. The specs of the new line can be compared to the previous one in the table below. OS - Windows 2000 Professional SP4. We tested all three drives. The scores are the same, but anyway, you can see scores of both the 160GB and 120GB drives. 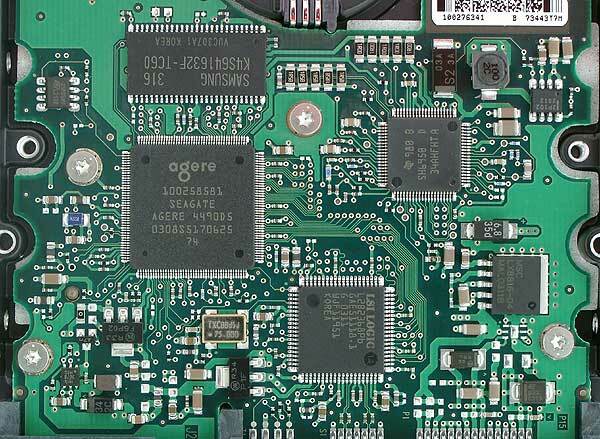 The 120 GB ST3120026A with the same buffer size and firmware version, as well as the 160GB ST3160021A drive with a 2MB buffer and v3.06, will be used for comparison. Well, we didn't expect the linear read speed to change. The diagrams of the SATA drives do not look so smooth. 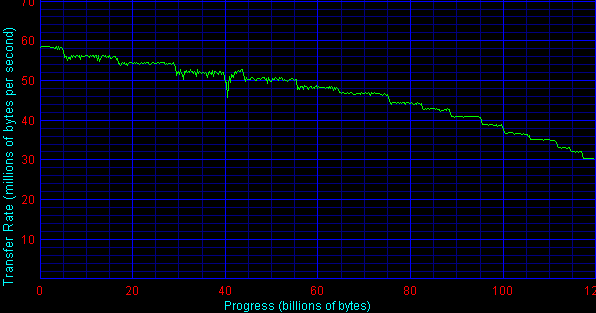 There's a peculiar drop near the 40GB mark in case of all drives irrespective of their size. I decided not to use the HDTach benchmark anymore for measuring average read and write speeds as the results are too incorrect. Let's just jump over to the access time. What a surprise! The drives with the serial interface are faster in this respect, and their scores coincide with the specs - 8.5 ms + 4.16 ms = 12.66 ms. I just don't get why can't the drive with the same firmware version and parallel interface reach the same speed? In my humble opinion, the access time doesn't depend on the interface. 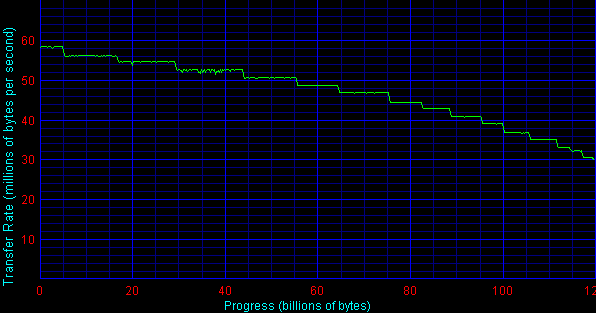 The scores of the Ziff-Davis Disk WinMarks of different drives can be compared only if the controller is the same as there's a lot that depends on the drivers. 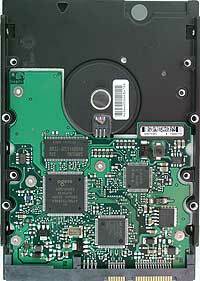 Nevertheless, the SATA drives score good results here. The lower access time should better the scores. Let's see. 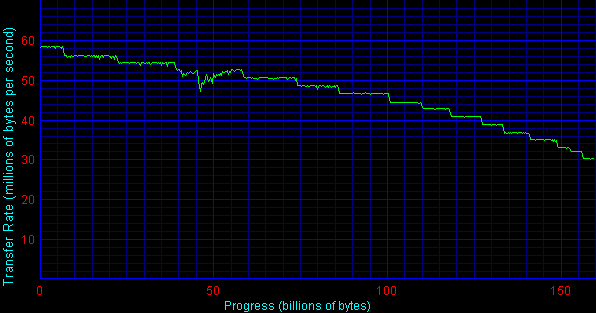 The buffer size doesn't help much in this benchmark. The SATA drives perform as well as we expected. The advantage is considerable. Look! The firmware version 3.05 of the drives with the serial interface helps much more than the v3.05 or even 3.06 of the "usual" drives. Here the situation improves. The problem of writing in the Barracuda 7200.7 isn't solved completely in the SATA drives but the progress is noticeable. The SATA drives work worse with smaller blocks but it's not that important compared to the overall results. 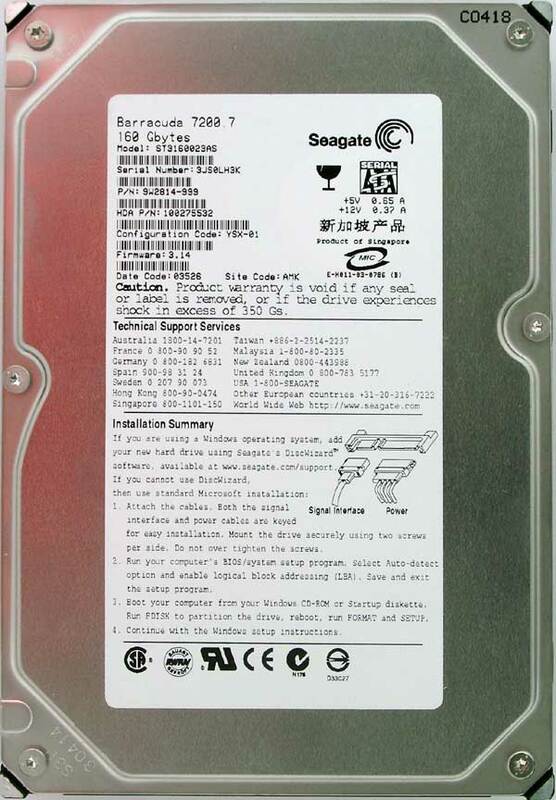 The Seagate Barracuda 7200.7 SATA drives definitely look better than their counterparts with the parallel interface; maybe it's just because Seagate has focused on SATA drives or because the company released them later and therefore had more time for working on them. 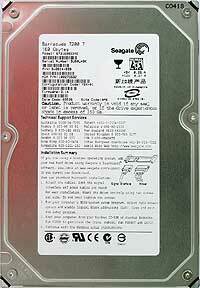 In the SATA Drives Roundup you can see how they compare to SATA drives from other companies.